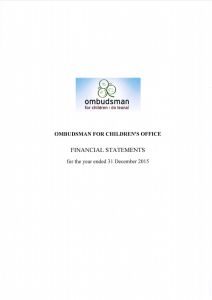 Financial reports provide information on the performance of the Ombudsman for Children’s Office. They allow us to be held accountable for how we manage and use the money we receive. We are required by law to make public our financial statements for the preceding year.